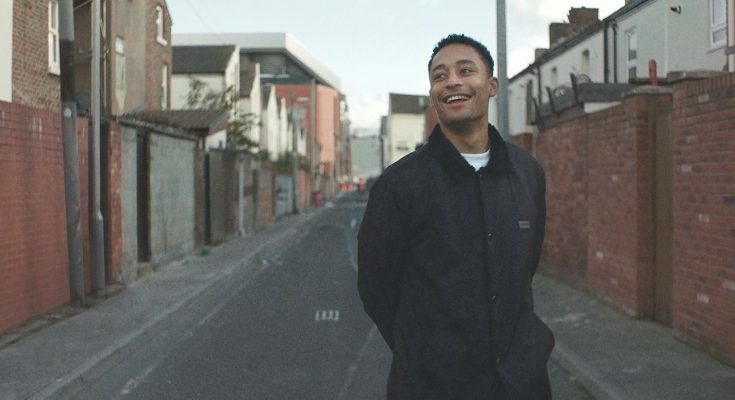 Levi’s has announced the expansion of the Levi’s Music Project to Liverpool in partnership with rapper, Loyle Carner. The studio opened its doors to young musicians on 15th November for a six-month project, culminating at Liverpool Sound City festival on May 3-5, where the Levi’s Music Project will be taking over its own venue, to showcase original pieces created by the young artists throughout the project. Setting out to break down barriers to music education, Levi’s has created a fully equipped music studio at the Liverpool Lighthouse community centre in the heart of Anfield. Avid Liverpool Football Club fan, Loyle Carner, will be taking the reins to unearth talent that will keep the city firmly on the global music map. Alongside a line-up of industry experts, the programme will see Loyle leading 1-2-1 sessions with the participants over six months, helping them to hone their skills, learning about everything from song writing and performance techniques to building social media presence as an artist, and everything in between. Mentors taking part in the project range from established music figures in the city of Liverpool, all the way to the team of collaborators Loyle has worked with on establishing his own career, meaning participants will come away with a strong network and a foundation on which to grow their musical talent. year’s project range from rappers to producers, folk singers and creators of dark electronic to encourage cross learning and original collaborations. Launched globally in 2015, the Levi’s Music Project is a global platform that partners with the music industry’s most relevant artists, experts and professional educators to provide access to music education for the next generation, in the communities where it can make the biggest difference. Past projects in the UK have seen the brand collaborate with Skepta, Everything Everything and Mist. Rebecca Ayres, Chief Operating Officer, Sound City, said: “The Levi’s Music project is brilliant, a fantastic opportunity for young people from Liverpool to work with an artist who is passionate about the city and a brand which is committed to helping young people to develop their talents. Sound City is proud to partner with Levi’s and the Lighthouse to help young musicians to reach their potential. Billy Hogan, Chief Commercial Officer, Liverpool Football Club, added: “Liverpool and Levi’s have always shared a special passion for supporting communities and making a difference. The partnership between the club and Levi’s is a reflection of this bond. We are very much looking forward to a bright future working with Levi’s, which will enable Liverpool FC to continue giving back to our local fans. Previous PostGoose Island Beer hides giant goose heads around Shoreditch Next PostBlack Friday – bane or benefit?